The Birmingham Curzon HS2 Masterplan proposes major changes to some of the city’s best-known stores – with the Pavilions shopping centre currently facing away from the station. Images revealed in the masterplan show major changes to the Carrs Lane and High Street area opposite Curzon Street Station’s frontage onto Moor Street Queensway, to create a direct view across to the Rotunda, which would require the Pavilions to be reconfigured. The plan foresees an area called Station Square, a vast expanse designed to be a pedestrian-friendly public plaza encouraging a flow towards New Street and the main retail area. 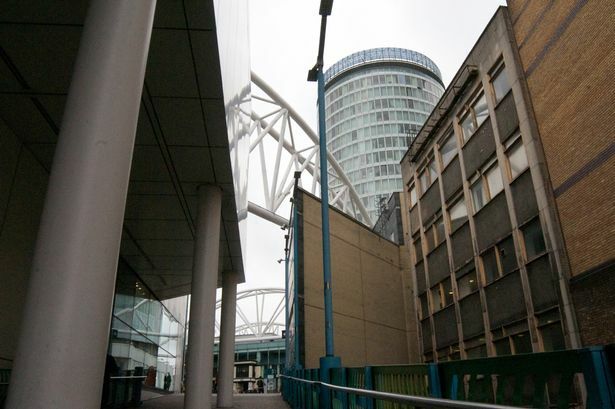 Waheed Nazir, director for planning and regeneration at Birmingham City Council, said the authority was working with property owners to encourage investment ahead of a raft of new custom. He said: “A lot of the major city stations – like Shanghai and Melborne – all have large squares outside. “The flow of movement means from a retail perspective it makes sense to have buildings facing into the square. “The idea is to have a view to the Rotunda. He added: “The flow of people is changing. We are trying to give them an understanding of maximising the growth potential. The Pavilions has been a feature of the city’s shopping scene since it was built in 1988. At the time it represented a major step forward for an under-performing retail scene, coming after the closure of the Co-op on High Street in January 1985, but backs onto the proposed Station Square. City council leader Sir Albert Bore added: “It is a simple set of principles – we are trying to get people to see the area as an attractive place that they can access safely and quickly, and an area where they are willing to live and work and take up leisure activity. “Then that makes for an attractive investment proposition. With the footflow in the city centre expected to significantly change on the back of the Birmingham Curzon HS2 Masterplan, many eyes will be on the impact of streets that were previously the cornerstone of city shopping – like Corporation Street and Bull Street. Sir Albert denied that they were “problem areas” but said with the nature of retail in the city changing, new possibilities would be open to them. He added: “They are less active areas than they used to be and this gives an opportunity to make them much more active. “The retail axis is changing. The investment into the Mailbox, John Lewis and Grand Central means it will extend from the Mailbox to the Bullring.